On a personal level, I have always been fascinated by the White Rhino! The first few years of my bush career were spent working as a student apprentice and wilderness trails guide in Timbavati Game Reserve. These were my BP days (before photography) and it was a valuable time of learning more about the bush and its inhabitants. Most importantly, it was a time devoted to studying the behaviour of animals that would in later years become my photographic subjects! Back in those days, when the camp never had trailists, we used to stalk White Rhino for fun and this without a rifle. 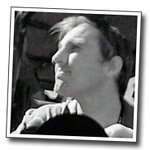 It was an exciting and surreal pastime and on many occasions I lay in the grass upwind of a crash of rhino watching them graze like giant lawnmowers. I sometimes got so close that I could hear their deep prehistoric breathing, strange whines and squeals, and even the grass squeaking through their soft delicate lips. Ever since my wilderness trail days, White Rhino have held a special place in my heart and since my photography is merely an extension of my soul, I have for years now, been trying to capture the fascination and intrigue that I have for these beasts. The problem is, a rhino is a large grey mass of matter with little facial expression? Over the years, I have been thoroughly disappointed in the images of White Rhino that I have been able to capture as often times, my resultant image is nothing more than a large grey blob! It is often better for a wildlife photographer to place his camera down, to take a step back from his project and go back to the drawing board! The drawing board and I are by now very well acquainted! 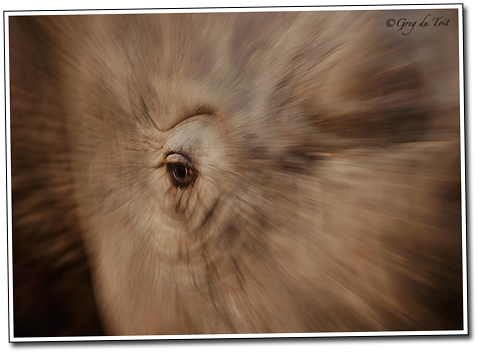 The aspect of the rhino that I most wanted to capture was its prehistoric nature and in order to capture this, I finally decided on a close up of the eye! A Rhino’s eye is very prehistoric looking and I set out with gusto to try and capture a unique image of my subject. Despite changing my strategy and zooming in tight, the results again looked flat as I failed (yet again) to capture the intrigue of the beast? Finally, one late evening, I became so frustrated that I set my camera to a slow shutter speed and nestled my lens deep into a beanbag. As I depressed my shutter, I zoomed out. This technique was one I had never before applied to wildlife photography, nor have I seen a wildlife photograph with this technique applied? I wish I could say that this image was born out of creative genius but I am afraid it was born out of PPF (pure photographic frustration)! Reviewing the resultant image back home and on my monitor, I was pleased with the result. On a personal level, this image has allowed me to capture at least a portion of the fascination and appreciation that I have for these beasts. I like the way the eye is sharp and the radial blur hints towards the Rhino being a modern dinosaur that has traveled through time and survived into this new millennium. 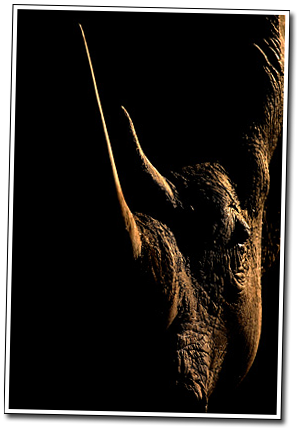 In light of the alarming and recent insurgence of rhino poaching, I can only hope, like all wildlife photographers do, that this image will help bring awareness to these beautiful and iconic animals! Let’s stop the poaching now before history has to repeat itself! The post Dinosaur Eye appeared first on ODP Magazine.